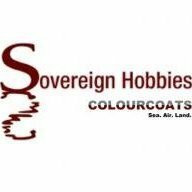 In the mid 1990s, Colourcoats was established as the first model paint brand offering shades specifically for modellers of Royal Navy subjects, based upon the most comprehensive information available at the time. In recent years, the delving of some individual enthusiasts into primary source documents in various National Archives made it clear that there were conflicts, anomalies and some straight contradictions between the widely held wisdom on the matter and what was actually written down in black and white and communicated to the fleet through the official channels at the time. For the past two years we have been working with these individuals by bringing us all together to pool our resources; each having discovered separate, isolated pieces of the larger jigsaw puzzle. Combining this with industry expertise sought and willingly given by several recognised experts on paint chemistry, we have been able to determine which anomalies are the result of incorrect assumptions and which were in fact correct identification of the correct paint, but that the old oil paint samples have significantly colour-shifted in the many decades since they were first made. Regular customers of Colourcoats' Royal Navy products may have already noted the migration in our webstore now started. The entire RNxx range is now discontinued and will not be remanufactured, however they will remain available until existing inventories are depleted. An entirely new range coded NARNxx is to replace our Royal Navy offering. Initially this will accommodate the 1936-1950ish era, but spacing has been left in the numbering to migrate the earlier shades in due course. Colours which are simply being renumbered without a shade change are: RN28 becomes NARN20 RN01 becomes NARN23 RN02 becomes NARN24 RN18 becomes NARN25 RN04 becomes NARN28 RN07 becomes NARN33 RN09 becomes NARN39 RN19 becomes NARN42 RN24 becomes NARN44 RN27 becomes NARN45 RN26 becomes NARN46 All other NARNxx colours are new products, whether altered slightly or significantly from the similarly labelled product from the out-going RNxx range. Our new range is as follows, organised vertically by appropriate time period and horizontally by camouflage tone. This organisation should assist the consumer (along with our research papers) to quickly spot and exercise caution over colour scheme references which demonstrate a fundamental lack of understanding by "cross breeding" paint ranges. Products NARN20 and NARN21 are offered in parallel as alternatives to each other, NARN20 being a 13%RF version of Home Fleet Grey with NARN21 offering a 10%RF version. Similarly, as the greens used in the 1943 "B" series were specified in quantity but not in type, we offer NARN33 as B.5 or B15, and an alternative NARN35 as B15 with a greener caste. It can be seen from the above that G10 replaced bother M.S.2 and 507A, whilst B30 replaced both M.S.4 and B.6 and B55 replaced both Western Approaches Blue and Western Approaches Green. Lastly, B20 replaced G20 from mid 1944 (with an overlap). These are in manufacture at time of writing, and will be on sale within 4 to 6 weeks. The Flotta Green and Brown will be a little later, but not too much, and we may add PB.10 also now that more kits of Royal Navy submarines are beginning to appear on the market. Here's a model of HMS Javelin as she was duing the Norwegian Campaign in April 1940. I built the model for my dad as he saw her being attacked by German aircraft as she was moored close to the quay at Brandal near Aalesund on the western coast of Norway. Since it was a gift to a non-modelmaker, I kept the style clean and stylised rather than going for the weathered and realistic ( that would be a "must" had I put the model in a seascape though). It took a lot of cleanup, and some parts, like the gun breeches, were easier to scratchbuild than cleaning up. The resin was just OK, the white metal poor, but the photoetch was pretty good and made the model really come alive. I got a lot of help by my friend Christoper Amano-Langtree who also wrote the book on the "Kelly"'s - the reference if you plan on modelling this class of ships. Overall, I am very happy with the outcome, and the model earned a silver medal in it's class at Scale Model World 2015.